BHEL Trichy Recruitment 2019: Good News Aspirants !!! Here is the one more opportunity came from Bharat Heavy Electricals Limited for candidates who are looking for settle in Tamil Nadu Govt Jobs. Recently Tamil Nadu Government has issued BHEL Trichy Trade Apprentice notification 2019. This notification is regarding fill up 400 Posts for Trade Apprentice. So, Don’t miss the chance to enter into the Tamil Nadu Govt job Sector. This is the right time to fill up Tamil Nadu Trade Apprentice Application form. 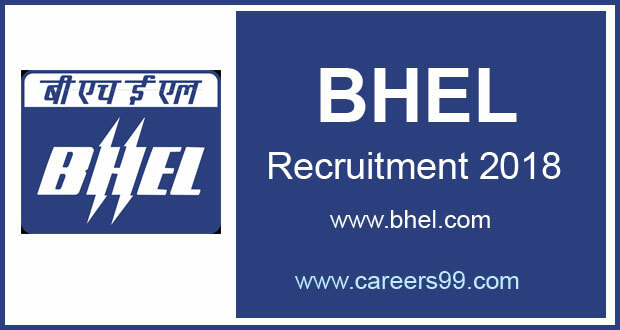 The candidates who are eligible for this BHEL Trichy Trade Apprentice Jobs 2019 can apply through the official website. Interested Job Aspirants who are ready to apply for Bharat Heavy Electricals Limited 2019 Notification must possess the below-given Eligibility Details. 4. Machinist Passed 10th class examination under 10+2 system of education with Science and Mathematics as subjects or its equivalent and passed 2 years training in Govt. ITI in the trade of Machinist (Miller/Composite) and be eligible for National Trade Certificate issued by NCTVT. 15. MLT Pathology Passed 12th class examination in the last 3 years (i.e. 2015,16,&17 under 10+2 system of education with Physics, Chemistry & Biology. Selected candidates will get Rs.8656/- PM to Rs.11129/- PM (Consolidated) by the Recruiting Organization. First of all, Open Official Website i.e., trichy.bhel.com. Fill required Details in the BHEL Trichy Application form and Upload required Documents and Pay Application Fee if Required. Once All details confirmed, Submit and Take the printout of your BHEL Trichy Application.